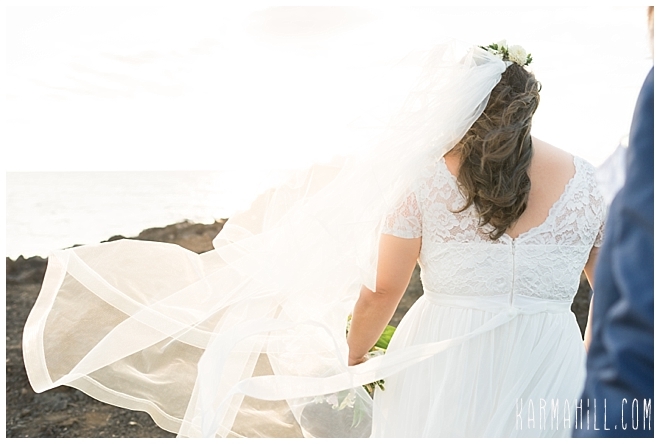 There's an old saying eluding to many 'fish in the sea.' 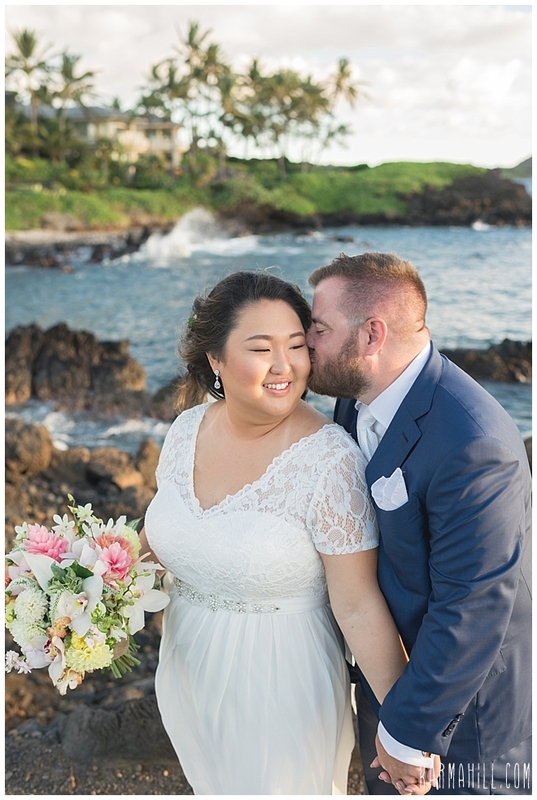 For Samantha and Nicholas, the search is over, their perfect match has been found. 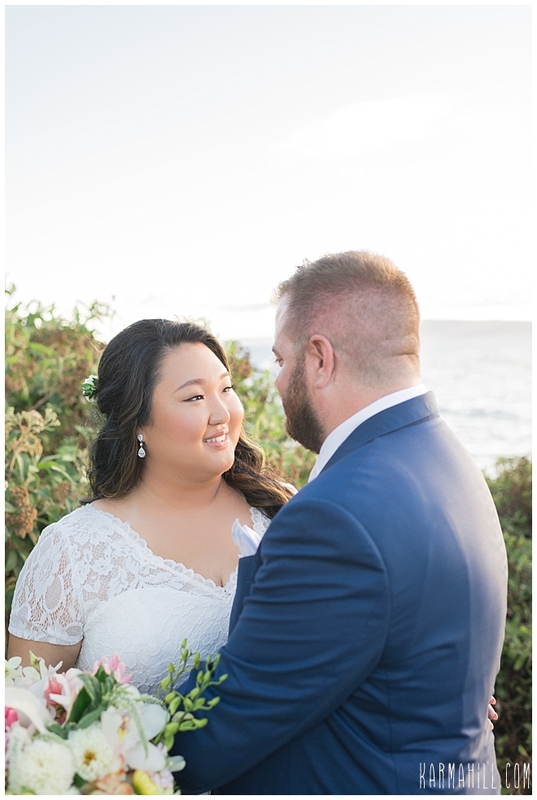 As fellow deep sea fishing enthusiasts, they are more interested in catching actual fish in the waters off the coast of their home town of San Diego. 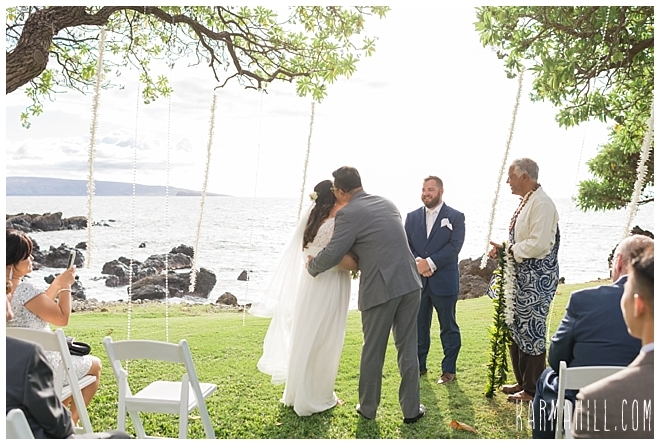 In fact, they were hoping to investigate picture perfect waters surrounding the Hawaiian islands while visiting for their Maui Wedding. 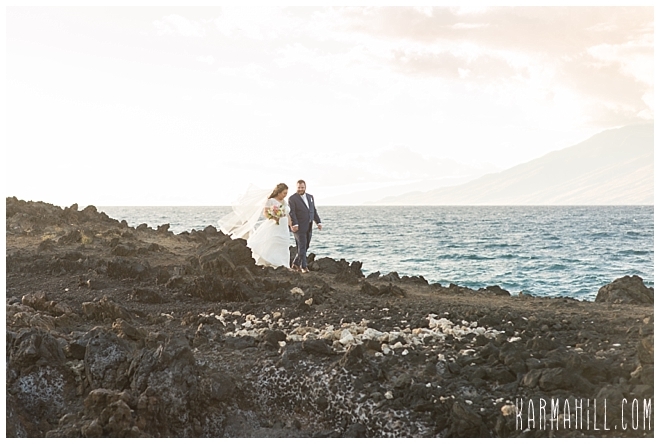 Also on the agenda, a fabulous adventure in Hana had their names written all over it. 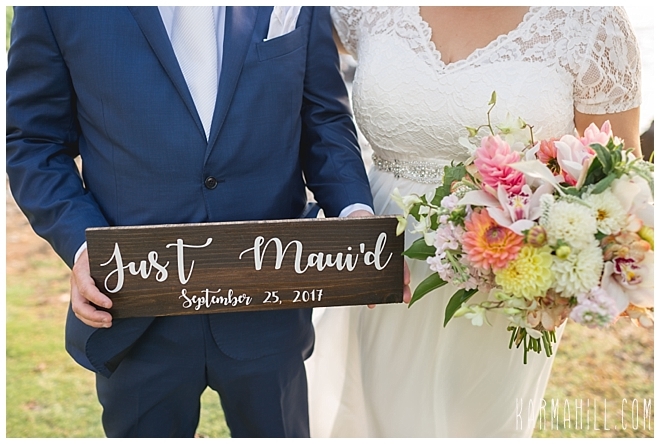 But first, the main event. 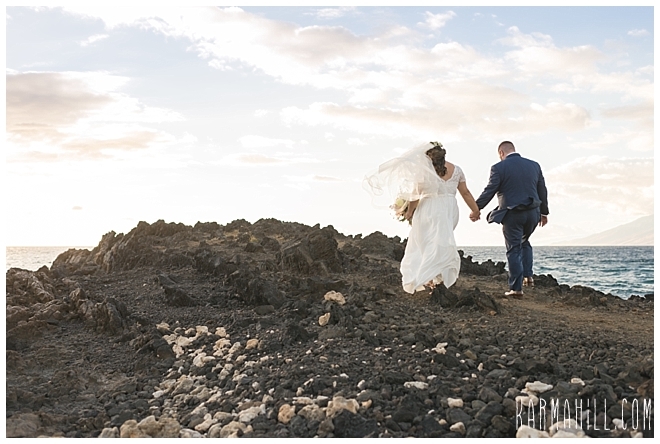 Together with their loved ones, they gathered on the lava rock laden shore, beside the ocean they love so much, and pledged their love and devotion to one another. 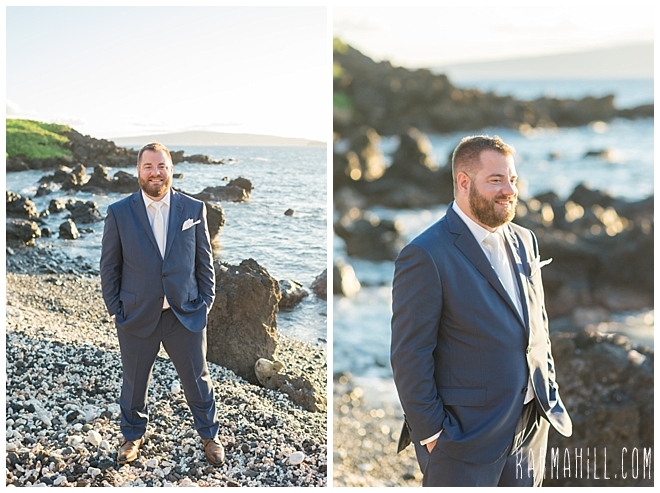 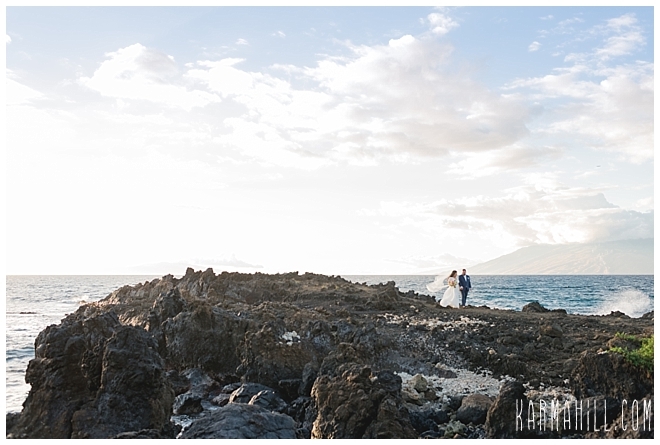 It was a lovely evening at the Kukahiko Estate and the smiles were flowing so easily as spirits were high. 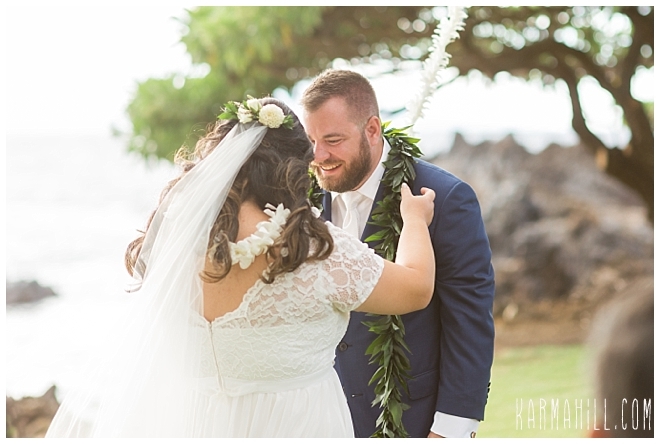 With an adorable couple like this one, the romance and love in the air was contagious. 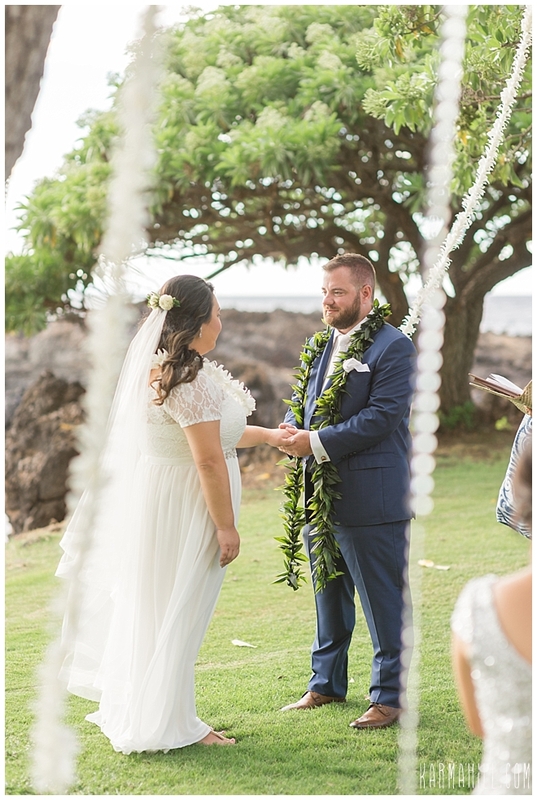 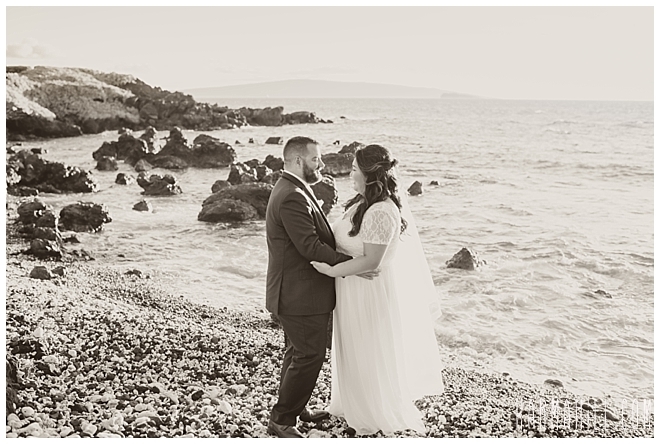 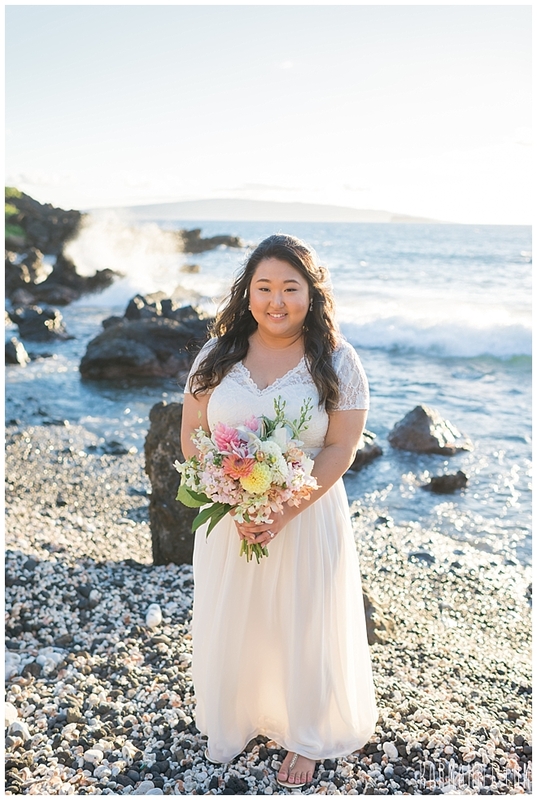 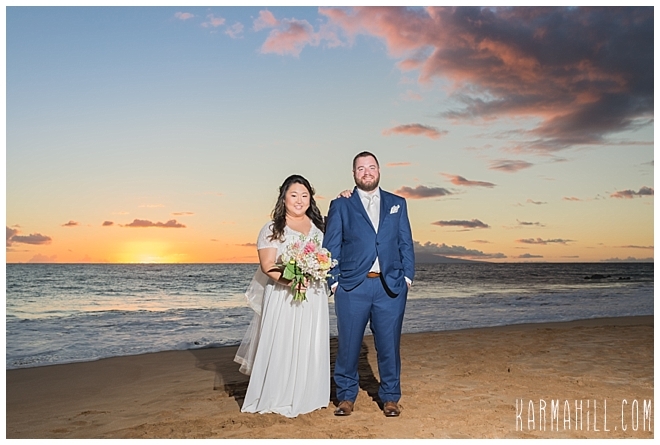 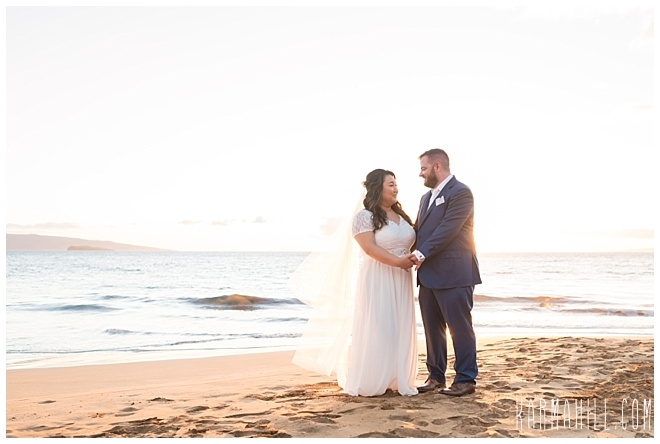 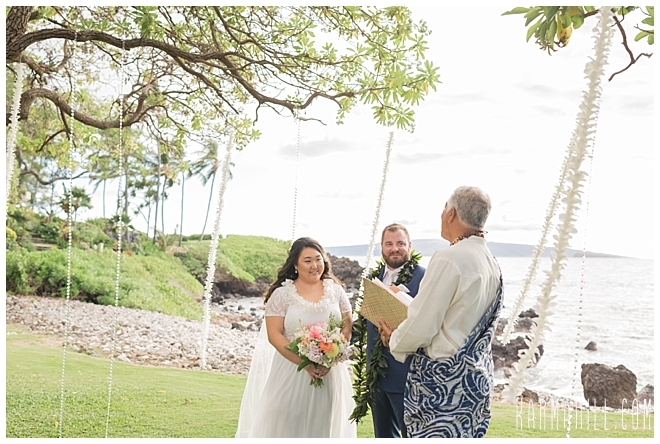 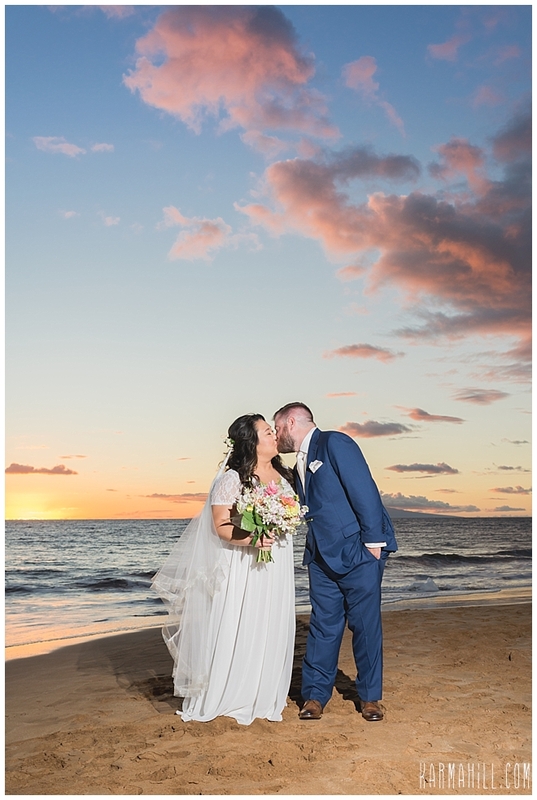 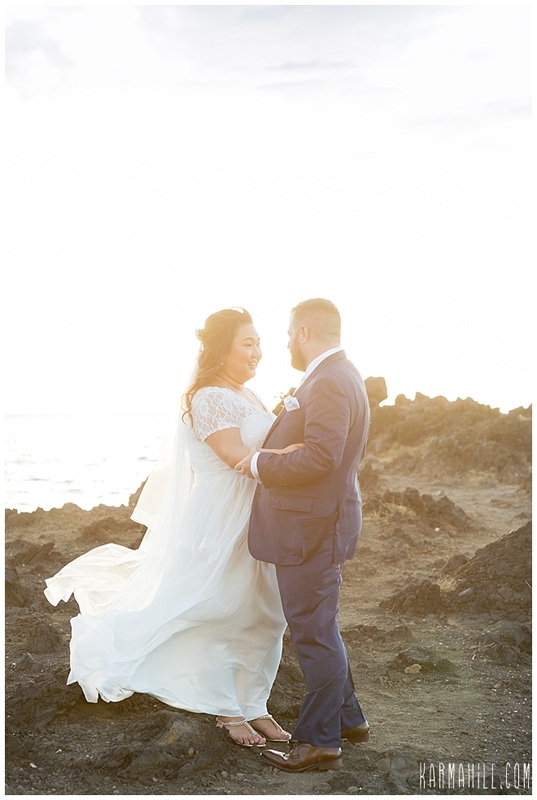 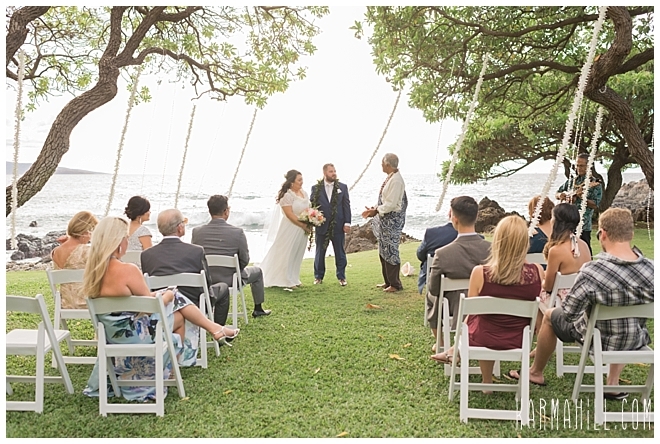 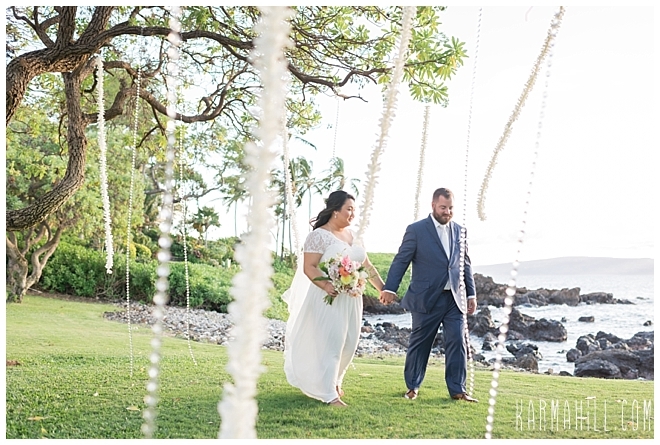 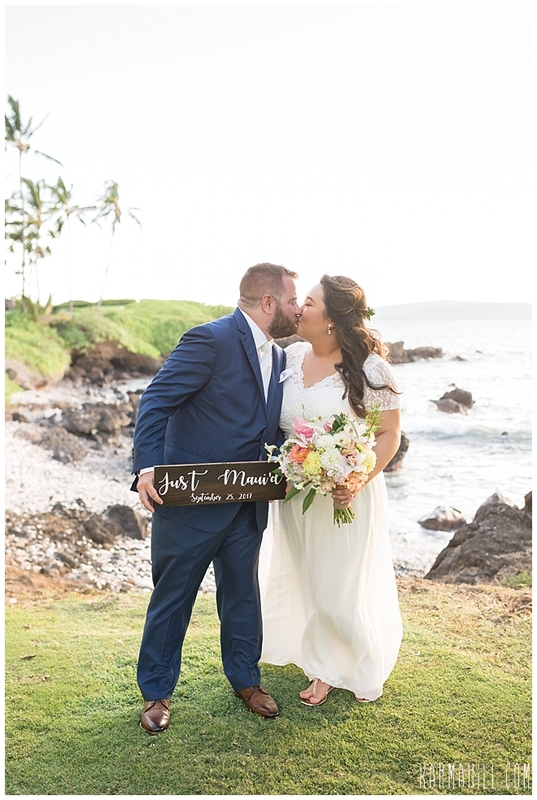 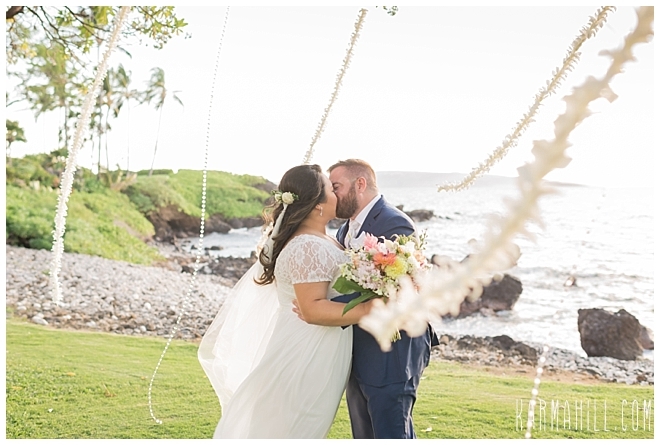 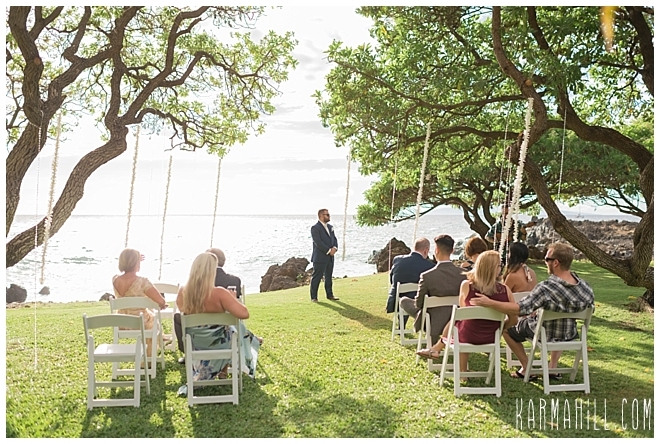 Thank you, Samantha and Nicholas, for allowing Simple Maui Wedding to be a part of your wedding journey. 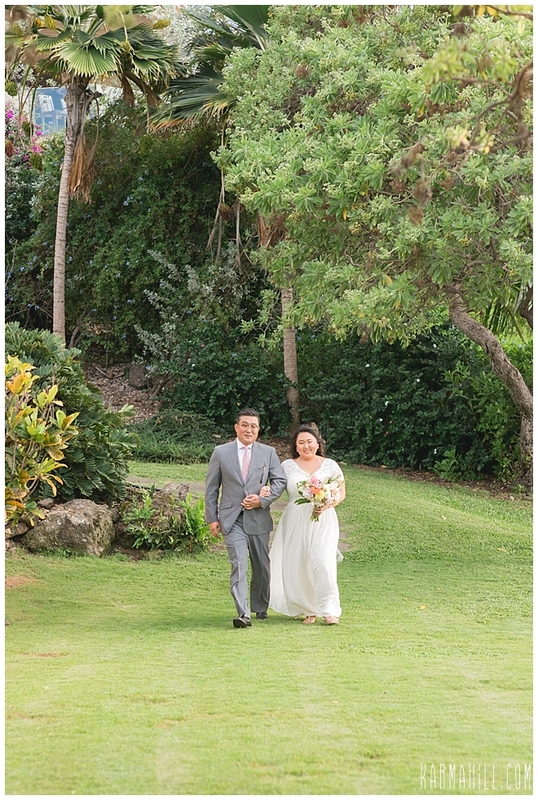 We wish you a happy life, and smooth sailing, in the adventures ahead. 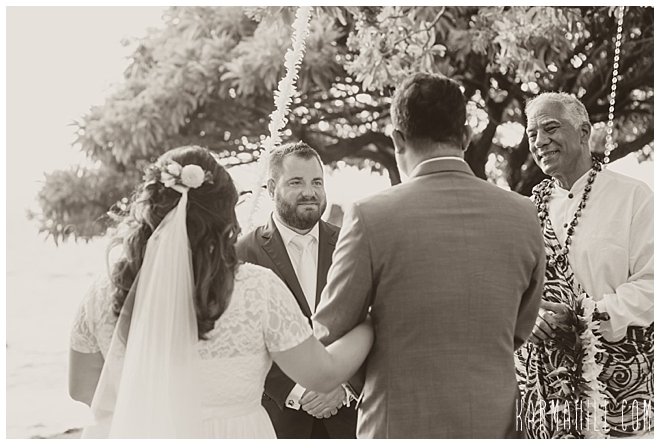 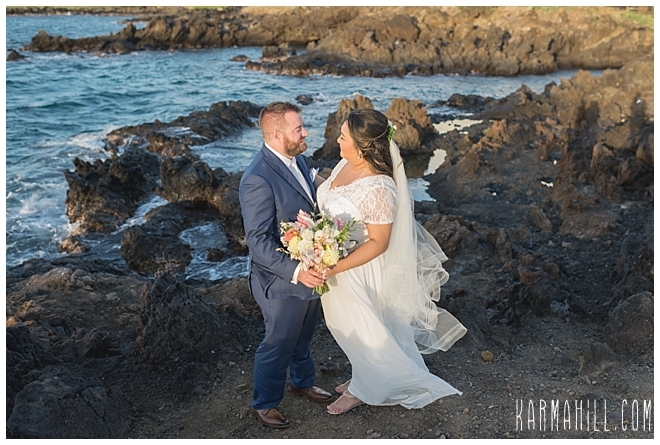 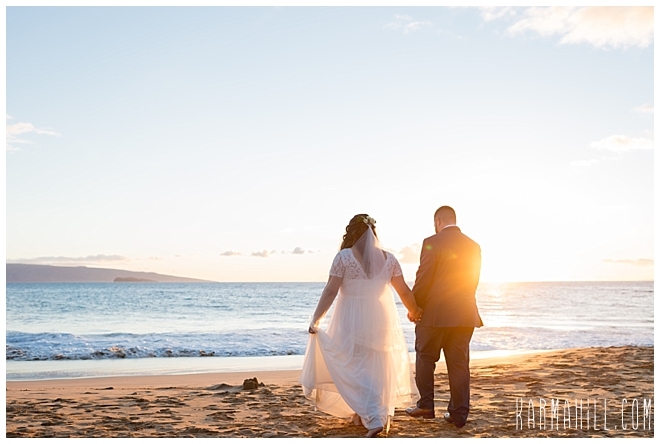 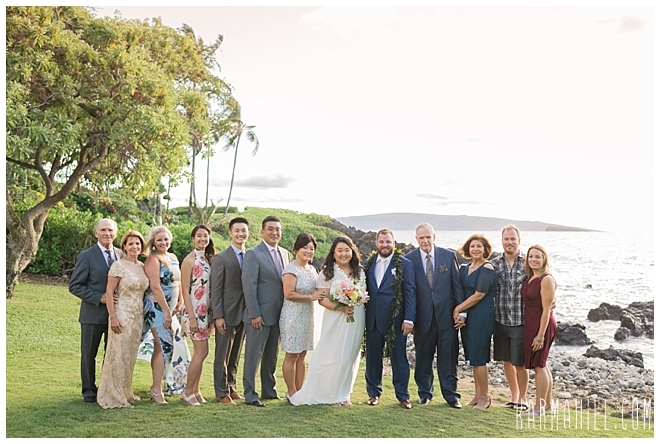 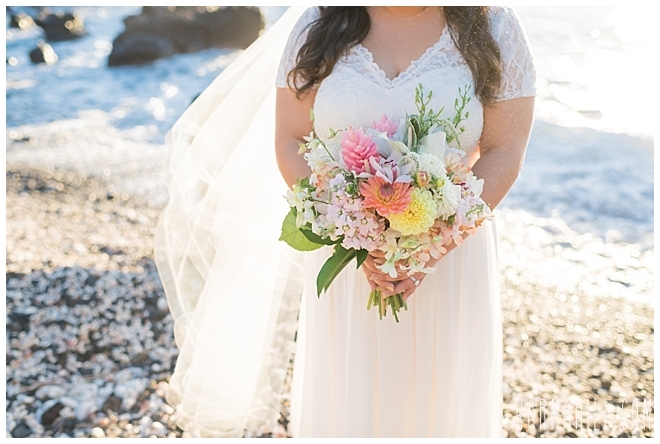 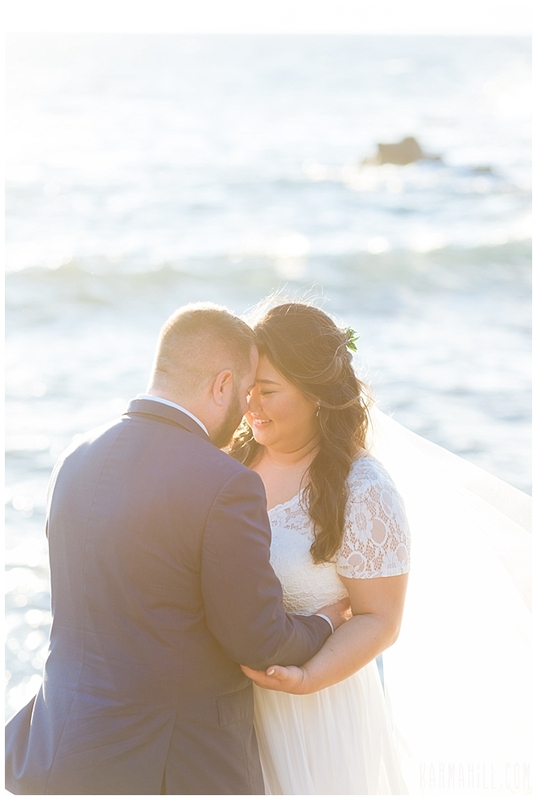 Check out our last Maui wedding with Haydee & Roberto!